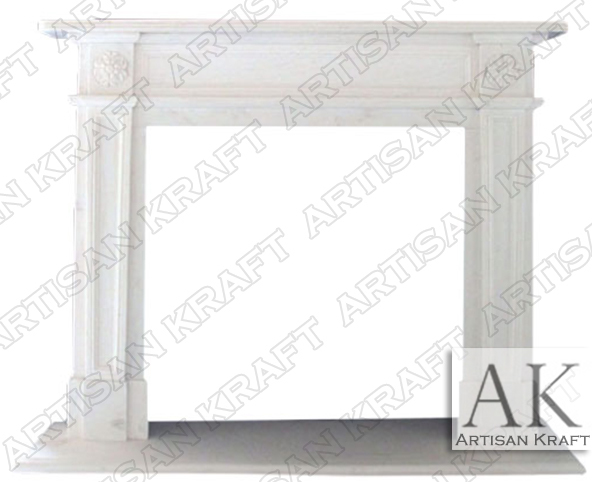 The white marble fireplace English Regent II. Old world traditions and modern innovation allow us to achieve the highest standards of quality in our products. English Regent has maple leaves circling a floral design. The style is a historic traditional design. A fairly flat design makes this fireplace great for all areas. 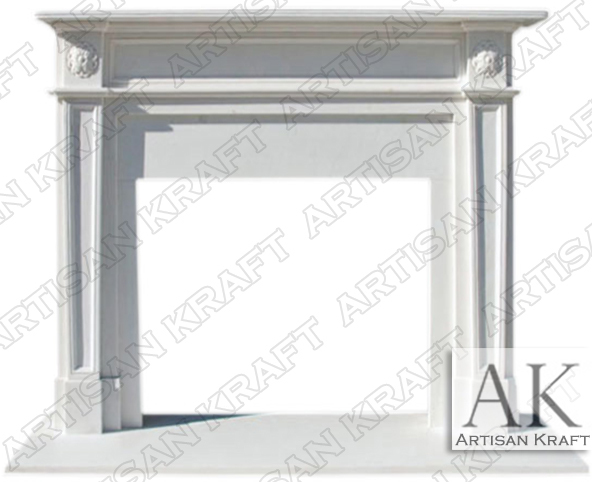 Even with limited space or for customers wanting an elegant mantel surround this is a great English design choice. 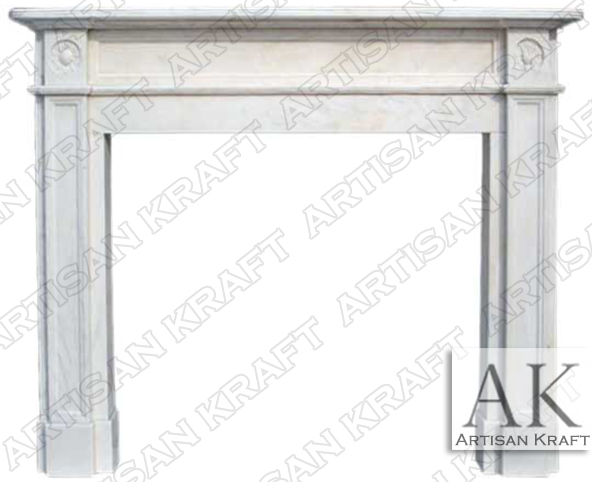 Special sale piece sale mantel if available in stock, while supplies and offer lasts.